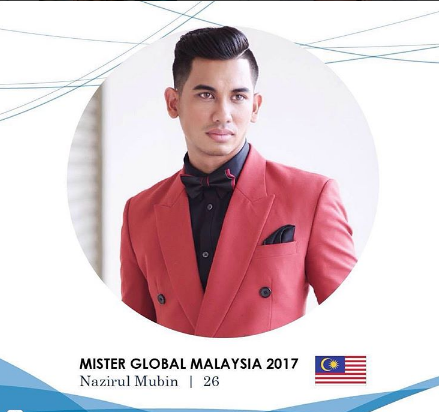 Mister Global Malaysia is Nazirul Mubin, a 26-year-old actor and business executive, from Kuala Lumpur. He will represent Malaysia in Mister Global 2017 in May. Since winning the national pageant last May 2016, he has been preparing for Mister Global 2017.